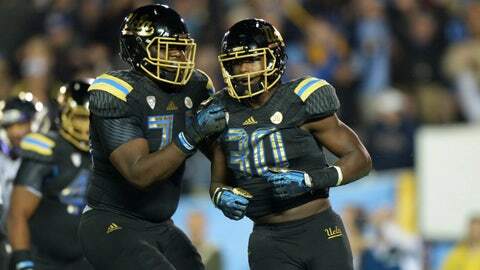 Benenoch (left) feels he has something to prove as an offensive lineman for UCLA. Caleb Benenoch, UCLA's junior offensive lineman from Texas, started all 13 games at right tackle last season. He knows the challenges of his role with the team. In an interview on Tuesday shared by InsideSocal.com, Benenoch explained why he has a “chip on his shoulder” heading into Thursday's game vs. Stanford. It's not because Stanford has won seven games in a row vs. UCLA. It's not because UCLA, ranked No. 7 overall at the time, lost to ASU during its last game either. As an offensive lineman, Benenoch feels he has something to prove at UCLA.